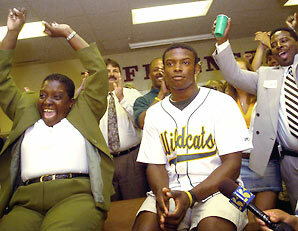 Justin Upton since before the draft. If you've been paying attention to National League ball the past two weeks, this shouldn't be a surprise. J-Upt's wOBA was over 80 points higher than the next best hitter. Much of Justin Upton's dominance this season may be attributed to his lower strikeout percentage. Because of his combination of speed and ability to make solid contact, Justin Upton has always had a very high Batting Average on Balls in Play. His BABIP this season is .333 and .342 over his entire career. So, cutting down on strikeouts will positively affect his production even more than many guys who hit lost of popups and flyballs, or aren't fast enough to beat out infield hits. This was another easy selection. 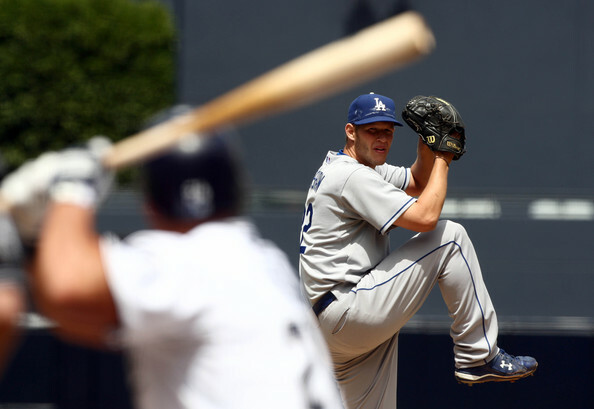 Kershaw went 2 - 0 in 2 starts, leading the league in FIP, xFIP, tERA, and SIERA, while finishing 4th in ERA and 5th in K/9. If you're leading in those four defense independant pitching stats, striking out over 11 per 9ip and walking less than 2 per 9ip, you're going to win this award every time. Getting hot at the right time could have done more for the A's chances at trading Matsui, yet he didn't go anywhere. 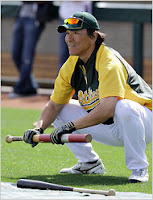 In fact, the last I heard about Matsui about 10 days ago was that no-one had called Oakland's front office about him. Perhaps, he'll make it through to a contender in a waiver deal this month. Over the past fortnight, Hideki Matsui has crushed American League pitching to the tune of a .511/.547/.809 triple-slash line. It's a small sample size, of course, but 24 hits in 47 at bats is impressive at any level, let alone the Major Leagues. schedule may choose to call in sick. 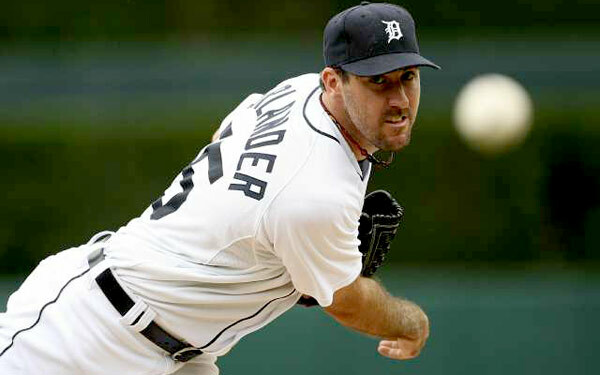 Verlander went 3-0 in 3 starts, including a match-up with Cy Young Award competitor Jered Weaver on Sunday that he thoroughly dominated, taking a no-hitter into the 8th inning, and constantly lighting up the radar gone late in the games. *Special apologies to Ervin Santana!